This tapestry was designed and worked by Mrs. L. Came ex. 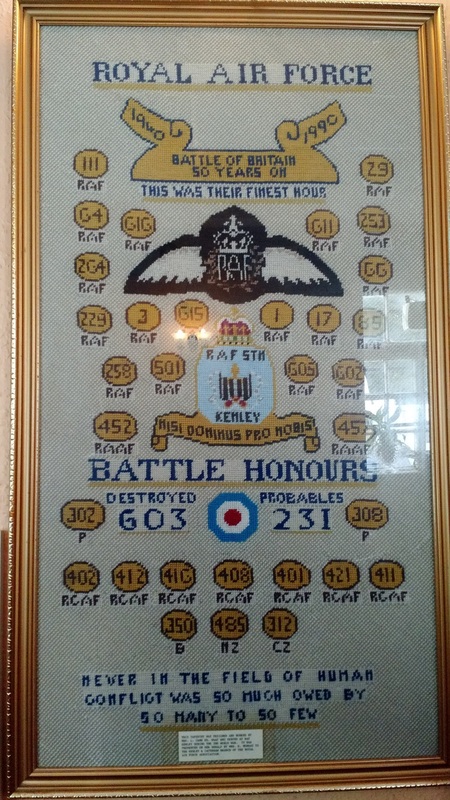 WAAF who served at RAF Kenley during the 2nd World War. It was presented on her behalf by Mrs. E. Murray to the Kenley & Caterham Branch of the Royal Airforce.